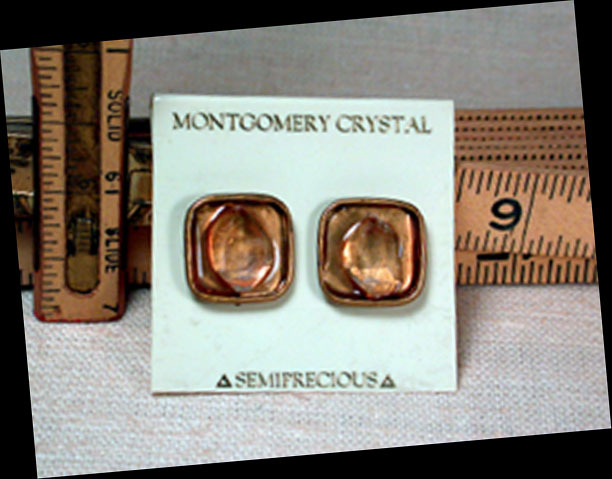 We're delighted, after going cross-eyed finding this match, to offer these 5/8" studs with natural, doubly-terminated rock crystals to you! Hand picked from amongst thousands of Arkansas stones, these are bright and clear, nestled in classy rolled-edge brass settings with 14k goldfilled posts. This classic shape also looks great worn as a diamond or soft square shape, and we've used post clutches with lucite disks so they won't turn in your ear. Truly one of kind, with rainbows.